The following message from Spirit came through recently while mentoring someone who feels he has a problem that prevents him from experiencing the peace of God. “So long as you see two choices, struggle or peace, you will struggle to maintain peace. Let go of the idea that you have to do something to achieve peace. Peace already exists within, all you need do is accept it.” Battling the ego. I’ve certainly been there, done that, and occasionally still do. While we perceive peace or love as something to attain and therefore the ego as a separate entity, it becomes something to battle and eliminate. It becomes a catch 22. So long as we fight something that is nothing and not real, we make it real. 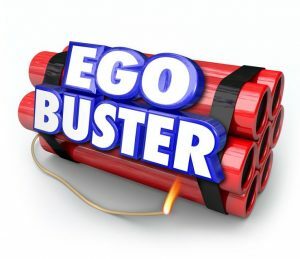 Many of us who’ve been students of A Course in Miracles, A Course f Love, and/or Way of Mastery, have at one time or another visualized the ego as a separate force that is negative and bad. We chose to experience separation, created the body as a separate entity, and then came fear and suffering maintained by the ego thought system of separation. Why wouldn’t we perceive the ego as something to battle and eliminate? In the second Treatise of A Course of Love (ACOL), Jesus says we find living in the world difficult so long as we perceive we are living in the world in relationship with people who are convinced of their separation and glorify it. This causes us to struggle and that alerts us to the presence of the ego and triggers battling the ego rather than leaving it behind forever. How do we get out of this mess? How do we stop resisting pains and ailments in the body, self -limiting beliefs such as: I am not worthy, I am not safe, I am unlovable, etc.? Why shouldn’t I resist all the hate spewing forth in the world. Let go of the battle, let go the resistance, accept you are a child of God here to learn about separation not as punishment for some stupid mistake, but to learn the power of forgiveness to bring to earth Christ Consciousness, to create the new, to become fully human and fully divine. And really it is a simple as that, though we often choose to make it complicated and therefore continue to struggle. I live on top of a remote mesa and enjoy immense amounts of solitude and spiritual contemplation. In ACOL, Jesus says that we’ve gone to the top of the mountain, learned what we’ve needed to learn and now its time to come down and be in the world in our elevated Self of form. Spirit says it’s time to come off my mesa and be more in the world. Yet, one area that still causes some concern is being with people who still believe in separation. I’m constantly in conversations that appear to glorify the ego. And because I choose to feel uncomfortable, I cannot stand in my Truth and hear Spirit’s message. Spirit says, “So long as I perceive that it is a struggle being with people who are unconscious then I’m still subtly believing the ego is real.” Dam, the spiritual ego is so tricky. I realize that this is a call to allow all that is. I allow every brother and sister to be where they are. I trust that the Holy Spirit is present in every person. I acknowledge every person is on his or her own unique path to union with God. And, I am clueless as to what is necessary for another person’s path, nor do I need to know. I simply allow and trust. I need do nothing or say anything, just be the energy of love. Wow, that landed in my heart fully. It was a Holy Instant. A belief became a knowing, a miracle of forgiveness. I Am a Holy, Innocent, child of God and I open to receive my loving inheritance with deep gratitude. The ego is transformed, it is no longer something to resist or do battle, just leave behind. Thank you! Absolute perfect timing for today. Egos rearing their ugly heads at work. All I want is love but that spiritual ego just yaks away. Blah blah blah. Bye bye. Click here to order this book from Amazon!